Do you have dry brittle hair and nails? 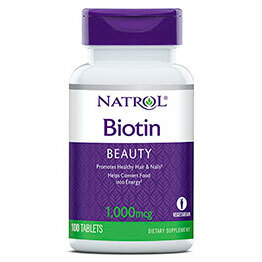 Clinical studies have shown that those deficient in biotin experience hair loss, brittle nails and unhealthy skin. Biotin plays a key-role in the body and is the important nutrient for the growth and maintenance of your hair, nails and glowing skin. Biotin is a B vitamin, also known as vitamin H or Vitamin B9. Biotin is also essential for your metabolic processes including the metabolism of fats and amino acids, production of fatty acids, and cell growth. This vitamin processes nearly every type of food that you ingest, including carbohydrates, proteins and fats. 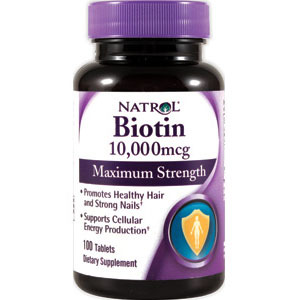 When biotin levels are at the proper levels in your body, the food that you take in will be processed quickly. Natrol® Biotin supplement supports the health of the skin, thick shiny hair and strong nails as well as of the nerves and digestive tract. Choose Natrol® Biotin for shiny, lustrous hair and strong, resilient nails while keeping your diet and shape on track! 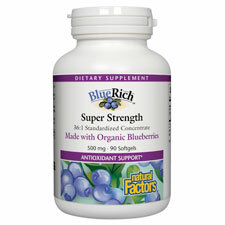 Natural Factors creates BlueRich™ softgels from fresh blueberries, to provide a superior source of blueberry’s unique health promoting compounds. The softgels are a potent source of blueberry powder containing a 36:1 extract that provides 36 times the antioxidant power of fresh berries. It is made by Natural Factors from 100% natural blueberry fruit solids, without using any solvents, preservatives, added sugars, water, flavorings or color. Blueberries are high on the ORAC (Oxygen Radical Absorbance Capacity) scale. Research is showing that high ORAC fruits and vegetables may help protect against common day-to-day oxidative damage. 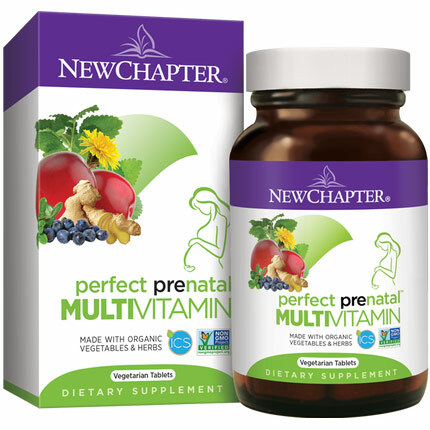 New Chapter Perfect Prenatal whole-food complexed multi-vitamin, including targeted levels of whole-food folate, is formulated specifically to nourish mother and baby. Organic herbs and cultured whole-food complexed vitamins & minerals work together to promote optimal health and condition- specific benefits – not just address nutrient deficiencies. New Chapter Perfect Prenatal is a probiotic whole-food complexed multi-vitamin formulated specifically to nourish mother and baby, including targeted levels of whole-food complexed folate. New Chapter Perfect Prenatal is Cultured and safe for pregnancy, this herbal blend combines whole foods and Class 1 herbs with probiotics to support a healthy pregnancy. 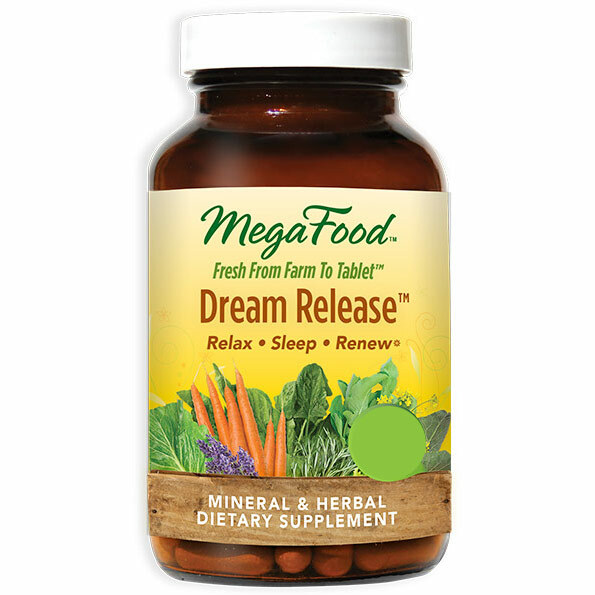 A blend of organic Broccoli, organic Kale, and other organic cruciferous sprouts supports healthy estrogen metabolism. Once-per-meal formula is easy-to-take, easy-to-digest, and can be taken anytime – even on an empty stomach! New Chapter Perfect Prenatal utilize only fermented soy to deliver these compelling benefits supported by each formula’s whole-food complexed vitamins, minerals and herbs. 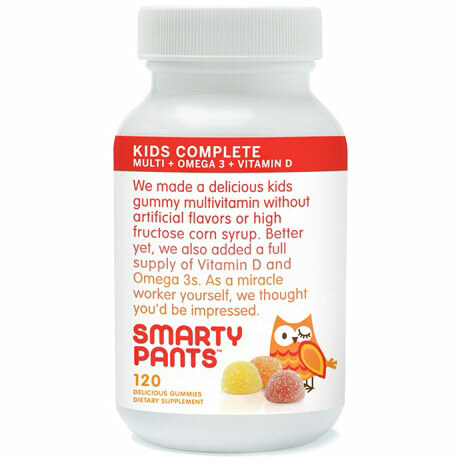 SmartyPants offers the only All-in-One Gummy Vitamin for kids and adults that combines eco-friendly omega 3 DHA & EPA + a multivitamin + vitamin D3 in one serving. We started this company because it’s just become too hard to be healthy. We know what it’s like to stand bewildered in front of a wall of vitamins and wonder, What Now? So we decided to combine those well researched and supported nutrients that are toughest to get safely from food into one serving that tasted so good, you wouldn’t have to worry about remembering to take them every day. With a focus on extremely high quality, bio available and organic ingredients, we created the first all in one gummy vitamin. By making things easier, we hope to put health in the reach of more people every day. And because we think everyone deserves a great start in life, we provide a 1 for 1 matching nutrient grant to a child in need with every bottle we sell through our partnership with Vitamin Angels. Women’s One™ Multivitamin is the #1 selling natural women’s multivitamin, with potent vitamins, minerals, antioxidants, superfoods and herbs to nourish, protect and support major systems of a woman’s body, and promote natural energy, in just one tablet each day. Added calcium, magnesium and vitamin D3 support bone and breast health while specially blended herbs promote natural stress and hormone balance. Live plant-source enzymes and probiotics (healthy bacteria) promote easy, gentle digestion without stomach upset. Rainbow Light Women’s One™ is gluten-free, sugar-free, lactose-free, dairy-free, wheat free and yeast-free, and contains no artificial colors, flavors, sweeteners, preservatives or additives. 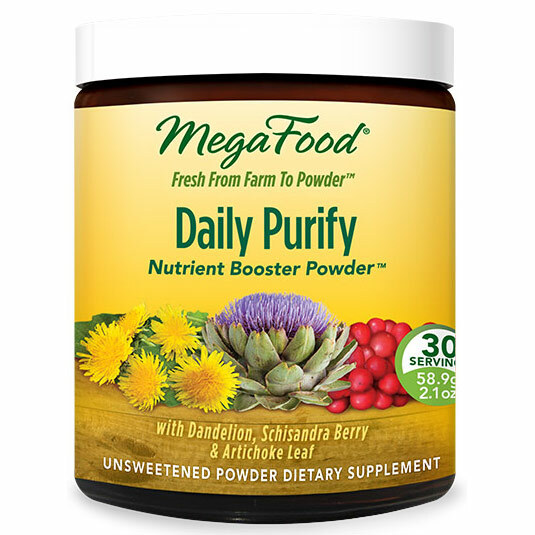 Contains essential vitamins, minerals, foods and herbs in optimal potencies to nourish, protect and address women’s specific daily health needs. 200 mg of calcium support strong bones and teeth, plus 800 IU of vitamin D3, 100 mg of magnesium and 100 mcg of vitamin K promote calcium absorption, and bone, breast and immune health. Antioxidants including 5,000 IU of vitamin A, 120 mg of vitamin C and 30 IU of vitamin E promote skin, eye and immune health, and metabolism, plus potent vitamin B complex promotes energy and brain health, and stress management. 125 mg of Women’s Nourishing Blend combines superfood organic spirulina with concentrated herbal extracts of dong quai and red clover to promote energy and hormone balance. 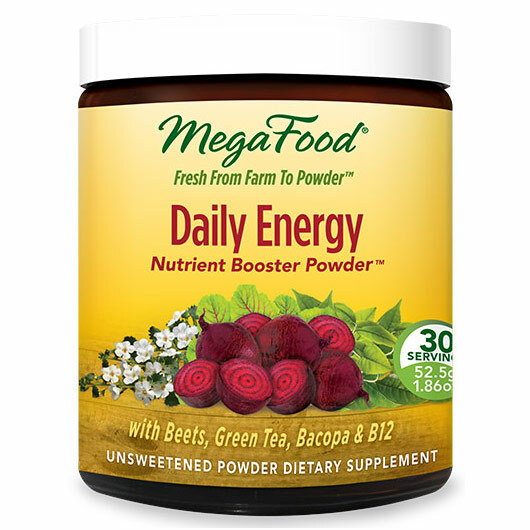 Concentrated beet, kale and spinach juices provide added nutrition for a natural energy boost. Plant-source enzymes and 25 million probiotics (healthy bacteria) enhance digestion without taxing your system or causing stomach upset. Women’s One™ is Allergen SafeGuard® guaranteed to contain no gluten, soy, yeast, milk, eggs, nuts, fish or shellfish. It is sugar-free, lactose-free, wheat-free and 100% natural, containing no artificial colors, flavors, sweeteners, preservatives or additives. 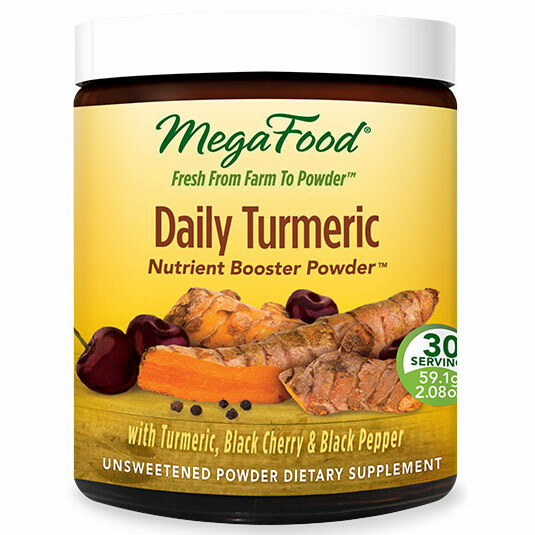 For comprehensive daily nutrition and natural energy, take one each day, with or between meals. Packaged in 100% recycled, 100% recyclable BPA-free Eco·Guard® packaging with a 92% lower carbon footprint than virgin plastic. 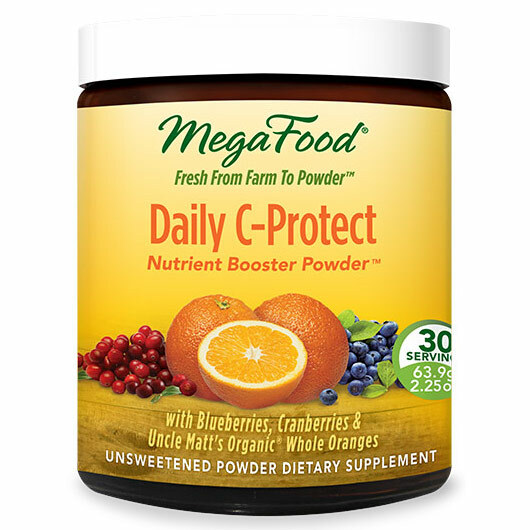 You may already know that MegaFood has a very strong non-GMO commitment. Our products with a lime green non-GMO butterfly seal have the proper documentation to be labeled GMO Free, and we are really proud of this. Our farm partners and suppliers have been required to disclose non-GMO documentation for our ingredients since 2009. We believe strongly in mandatory labeling initiatives, so we carefully selected a group of our products to undergo third-party verification by the Non-GMO Project. The Non-GMO Project is the leading third party verification organization that was founded by independent natural foods retailers in the U.S. and Canada in 2008 (just one year before we started requiring non-GMO documentation for our products). Our first 5 products to be verified by the Non-GMO Project are: Blood Builder, Wild Blueberry, Magnesium, Calcium and Calcium, Magnesium and Potassium. The Non-GMO Project has also recognized our manufacturing facility in New Hampshire, as compliant for Non-GMO Project Verification. Our shiny new walls are proud to wear this certification. Non-GMO Project Verification is a pretty big accomplishment for supplement companies like us. Our vitamins contain many different ingredients (as many as one-hundred in one product — yeah 100!). Part of the process for Non-GMO Project verification requires us to provide multiple pieces of documentation for each ingredient – that could be as many as 200 documents per product, talk about a paper trail! These forms certify that the ingredients we use in our products are pure and free of GMOs. The certification goes deep – literally – down to the soil in which some of our fruits and vegetables are grown. When you compare a supplement containing one-hundred ingredients to a product, such as a baked good which may have up to ten ingredients (or a corn-chip which has three… yup, corn-chips have 3 ingredients: corn, oil, salt), you can clearly see the level of complexity and the time needed for review. This makes the verification commitment very time consuming for both supplement companies like us and the Non-GMO Project. Non-GMO is rapidly becoming the new “standard” in consumable manufacturing and we are very proud to be part of this movement. We have formed the Non-GMO Working Group, a team of dietary supplement manufacturers who work together to source non-GMO ingredients and support non-GMO farmers – think of us like a group of superheroes… ya’ know like; Batman, Iron Man, Wonder Woman and everyone in between – all working together for one cause. As a unified group we have a larger influence over ingredient suppliers and farmers to provide upfront documentation for non-GMO verification. Additionally, as we continue our commitment to clearly label our products as non-GMO we are financially supporting other mandatory labeling initiatives like Prop 37 in California and I-522 in Washington state. We have additional products that are in the process of being verified, and by working closely with our farmers, suppliers, and similar like-minded supplement manufacturers (the superhero gang) we are taking large strides to improve the process of verification with the Non-GMO Project. Keep an eye out for more MegaFood Non-GMO Project Verified products in the future! And thank you for supporting the cause!